Grass cuttings, landscaping and developing parks. Nursery (specializing in indigenous shrubs and trees.) 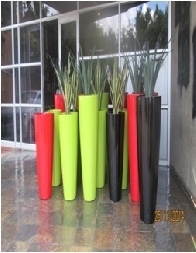 We also do other kinds of plants. We install indoor potting plants (artificial and leaving plants).